An anonymous source in the games industry has leaked that Nintendo plans to announce a new platform at this year's Games Developers Conference in March. We may learn about Nintendo's plans as early as this March, as an industry source told Videogamer.com that the Japanese company was planning on announcing it then. "Just heard a rumour that you may be interested in," the anonymous source said. 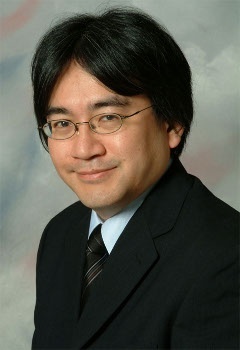 "Nintendo [is] going to announce a new platform at GDC. Some devs have already started work on it." The choice of venue for such an announcement is interesting in itself. One thing the Wii has been criticized for is the lack of good third party games on the console. Perhaps by announcing the new console at the Game Developers Conference instead of at E3 will endear developers to the brand and get them on board making games for the new console earlier than they did with the Wii. And according to the source, it appears that there is already people working on such games, even though it's unclear if the "devs" mentioned are from Nintendo-controlled studios or third parties. It is also possible that the "new platform" could be an updated DS. Iwata mentioned both a new DS and a new Wii at an investors Q&A recently, but couldn't elaborate because he was afraid of leaking too much. "If there were no rival makers in the world, I'd could give examples of the things that we are considering," he said. "However, for competitive reasons, I cannot give specifics today on the what or when of the things we're considering."